What components make up the physical infrastructure of a data centre? How do you choose the best options for your data centre? And what service and services are available for back up? The answers to these fundamental questions can be found in the new White Paper jointly authored by Rittal, global solution provider for IT infrastructures, and Reichle & De-Massari AG (R&M), manufacturer and provider of cabling solutions for high-performance data centre networks. The White Paper ”Ten Steps towards an Optimal IT Infrastructure” by Rittal and R&M is available to download now free of charge (www.rittal.com/whitepaper). The Paper guides data centre planners and operators, as well as administrators, through the complete physical infrastructure of a data centre. Most particularly it offers advice to them on how to cope with the dynamic changes which virtualisation and cloud computing are bringing to both the new generation of centres as well as those already in existence. 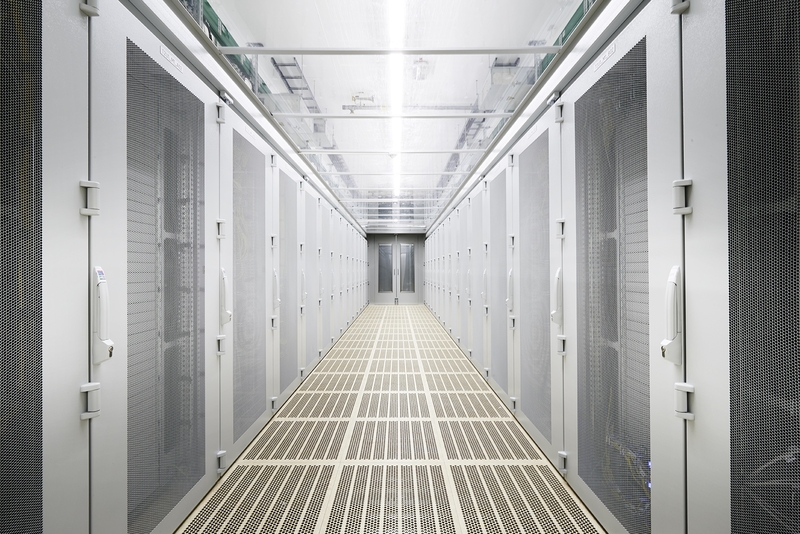 The White Paper starts with the fundamentals of an IT rack – the basis of every data centre. This standardized 19” cabinet can act as a server or network cabinet, depending on whether it is used to store servers or switches. It goes on the talk about the power supply components.A low-voltage main distribution board (LVMD) distributes power to each area and a generator ensures a power supply in case of emergency. The uninterruptible power supply (UPS) converts the current from the LVMD and filters out any interruptions. The power is then distributed to the server in the rack via Power Distribution Units (PDU). A climate control system ensures that the warm air extracted from the server is removed from the data centre, cooled, and fed-in again. The Paper then explains how measuring data relating totemperatures and humidity is recorded by a monitoring system. This system transmits the data to the Data Centre Infrastructure Management Software (DCIM), which triggers an alarm if necessary. Finally, it compares the logical network architectures andtopology concepts for the standards – something that should help improve communication between manufacturers, planners, and practitioners. The primary task is the translation of the logical topologies into a structured cabling infrastructure in accordance with TIA-942-A or EN 50600-2-4. Clearly, trends towards virtualization and cloud computing are highlighting that not only are numerous new systems being built, but existing systems are being retrofitted quickly too. The White Paper is designed to address very real concerns about the operative success of data centres in this current dynamic period of upheaval. Rittal will be out in force, showcasing its top-of-the-range system at this year’s Offshore Europe 2015 event in Aberdeen. With many specific and often high-risk security issues in the oil and gas industry, safety remains of paramount importance in the use of correct equipment and preventing sources of ignition. 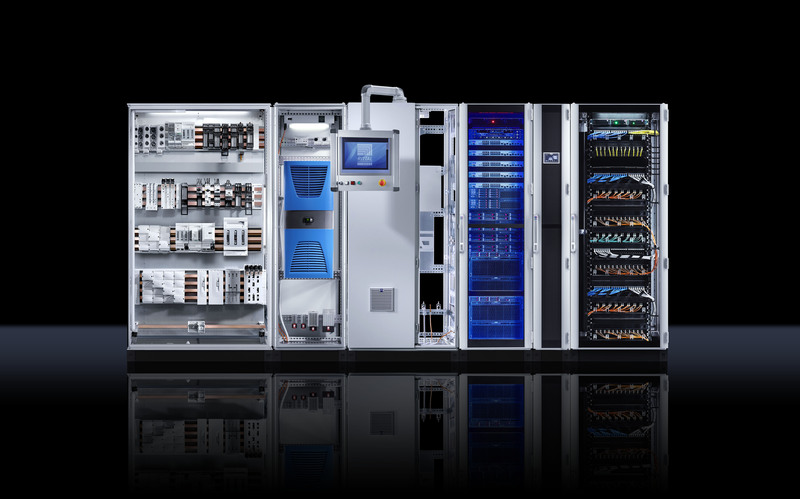 Visitors to Rittal’s Stand 4E120 will be able to view a range of Rittal’s innovative modular enclosures, power distribution and climate control systems, routinely specified as the No 1 choice throughout the industry for protecting critical equipment. Rittal’s technical experts use ingenuity and smart thinking in areas such as optimising physical work spaces while its high-quality designs minimise the damaging effects caused by the tough operating conditions typically found in offshore environments. What’s more, thanks to Rittal’s local enclosure manufacturing base in Plymouth, its product offering can be readily adapted to meet most customer needs. ​ Also on show will be motor control centres based on the market leading TS 8 enclosure platform. Complimenting this is design and calculation software which can help users correctly identify the heat dissipation requirements within enclosures, and support their application and installation. In addition, visitors will be able to review Rittal’s busbar system, its extensive range of wall-mounted enclosures and the TS IT which is a fast, simple and flexible enclosure system featuring snap-in technology, flexible internal configuration and intelligent cable management. To find out more about Rittal’s enclosure solutions and accessories for the oil and gas industry, come to Stand 4E120 at Offshore Europe, 8-11 September 2015, at AECC, Aberdeen. Further information at http://www.rittal.co.uk and http://www.friedhelm-loh-group.com, or on twitter @rittal_ltd.